Remote Play catching on, but fast enough? Not looking to bright, is it Vita? The head of Sony Computer Entertainment has admitted the future direction of the PS Vita console is uncertain outside of Japan as it struggles to find its niche in other territories. SCE CEO Andrew House told IGN the handheld's status as a 'AAA' console has been secured in Japan by the strong uptake and the differing marketplace dynamic. However, in Europe, the Americas and Australia, where console gaming is more dominant, it means there's work to do on selling consumers on other benefits, such as Remote Play and indie games, House intimated. "I certainly think you'll still see Vita as a triple-A machine in Japan where it has a different function with the console dynamic of the marketplace," he said. "That, for me, is a given. "It's hard to say in terms of the other markets. I think Remote Play is still in its nascent stages. I think we need to have better understanding. We know a lot of players are embracing it and using it and seem to like the experience a lot, but necessarily that changes the dynamic." House's comments suggest the dwindling number of AAA, first-party titles would probably continue to diminish as Sony focuses on finding another niche, such as Remote Play. 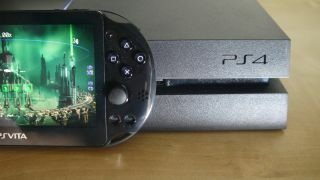 Remote Play allows PS Vita owners to play their PS4 games on the handheld rather than on the TV when both devices are connected to the same Wi-Fi network. At the beginning of the next-gen console war, many observers felt Remote Play could be a huge advantage for the PS4 over the Xbox One. The PS4 has established all of the early momentum, but not necessarily for that reason.